Surname Crest make beautiful hand-crafted gifts for every occasion. Designed and made in Galway on Ireland’s Wild Atlantic Way. 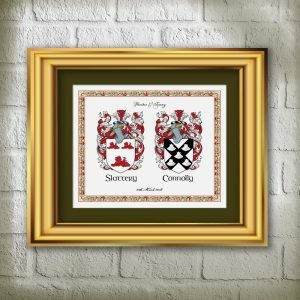 Surname crest are best known for our hand crafted plaques and prints decorated with family crests (coat-of-arms). These decorative pieces are a popular choice among those who are searching for a thoughtful wedding, anniversary or family name gift. 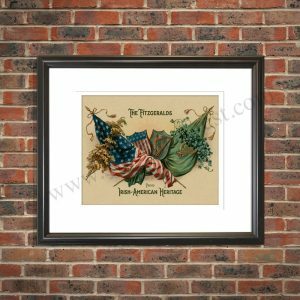 We have a selection of prints designed to celebrate – a friendship, a birthday, an engagement, your Irish heritage or just as a special gift for the one you love. 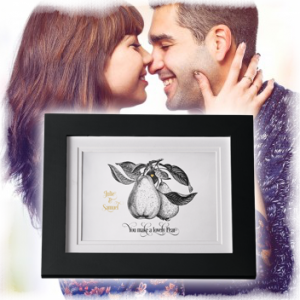 All our prints can be personalized – making them unique and personal. Fantastic gift for any home – a choice of vintage posters that you can personalise for any occasion. Free worldwide shipping. Every time you shop with us, a superb quality product is guaranteed. Our handcrafted gifts are personalised for you. Every item is different – made especially for you, with your text, names, border choice – giving each gift a unique appearance. Now, you can even customise the packaging making it extra special for your recipients. How can such a quality product cost so little? We are a specialist web based craft business (without the added overheads of a high street shop) so have been able to keep our prices low whilst maintaining the high quality of our crafted product. 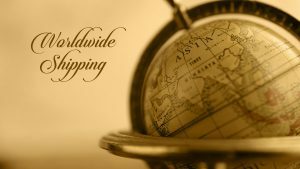 International customers find that even with Shipping charges added – our products are cheaper than their local suppliers, and delivered just as fast. Our professional attitude and dedication is evident in the feedback we get from our customers. You can always expect the best from us. In terms of the product quality and customer care service, we never disappoint. 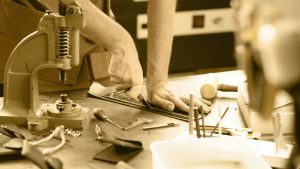 Our products are hand crafted in Ireland to the highest quality. Each one is unique as they are designed with your details. Our products can be seen in homes all around the world. International shipping is through the postal service and at most takes only a few days. 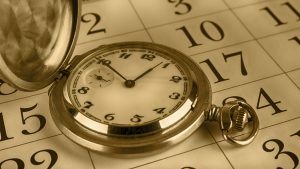 Our customers appreciate our fast turnaround time. We make our products in-house so usually ship between 1- 3 days of ordering. And, of course, we have a BETTER quality Product and a CHEAPER price than any of our competitors! We hope you enjoy this site… and enjoy looking at our products. We guarantee attention to detail and look on each product as if it was a gift that we ourselves were giving to our closest and dearest friends. Each item is designed, produced and hand finished by us, they are not some anonymous generically mass produced item off a shop shelf. Therefore they are intrinsically regarded as having a higher value and a more considerate gift. We love this industry and we love exceeding our customers expectations. After all, we know how great it feels when others go above and beyond for us. Delivering a friendly and attentive customer service is as important to us as making a quality product. 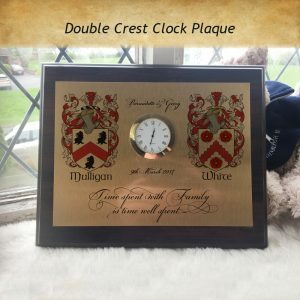 Whether it’s our bespoke clock plaques or a double family crest wedding plaque – we are committed to making our customers happy. Wow they look great. Everything looks perfect. Thank you for acknowledging my surname. Just received the plaque this morning, thank you, it is excellent. Wonderful company, very fast turnaround, affordable and an overall great product. Will definitely be ordering again and recommend this company to everyone. Great to have such good customer service. All the way to the States as well....Well done and thank you! 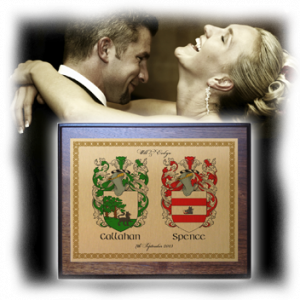 Loved the family crest clock plaque, and the package included a little gift - definitely brought smile on my face too! Good quality production. Gorgeous presentation. Good customer service. Outstanding service. I've ordered from them 3 times now, each one perfect each time. Never have I been let down. Highly recommend. Wow- I love it. Got the plaque-Thanks. Very pleased with the wedding clock plaque and the 'attention to detail'. Would order and recommend to anyone. Thank you kindly. Love the plaque, it looks great and delivered quickly too with a little extra Christmas gift; thank you! Just received the clock plaque this morning, thank you, it is excellent. 2nd time I have used Surnamecrest and will definitely use them again. My order (Order No.8716912) arrived safe and sound today - very prompt. Thank you for such good service. Great Product- I love it. Will Buy again!!! What a fantastic service, arrived on time well packaged and a great price. Will always use this company. Hi, I received my plaque today and im delighted with it, thanks a million, I'll definitely be recommending to you friends!! Very pleased with the wedding plaque and the 'attention to detail'. Would order and reconmend to anyone. Thank you kindly.